1. Two compositions of contrasting styles, one of which must be selected from the solo literature; the other may be a solo or an etude. 2. The solo should be of the highest difficulty level. Many states have a State Festival List of repertoire which will include suitable repertoire. For instance, from the Maryland Band Director's Association, a suitable solo would be one chosen from grades 4-6. 1. A first movement of a major concerto or similar work. 3. Other Repertoire (which may include solos, etudes, or excerpts) of the auditionee's choice, if needed, to fill out a program of 30 minutes for the MM and 60 minutes for the DMA. Selected portions will be heard. The Woodwind Quintet Fellowship is available for Fall 2018. 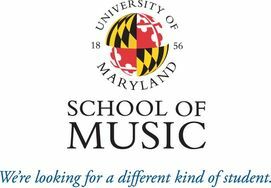 All prospective students interested in being considered for the woodwind quintet fellowship must apply as an individual to a degree program (MM or DMA), and also submit the requirements listed below in order to be considered for the live audition for the woodwind quintet fellowship. If you are selected for a live audition, you MUST be available for a live audition. There will be no alternate days, or opportunities to audition via recording. 1. Preformed-group – If you are a member of a pre-formed group, please provide the names and instruments of each member in your group in the requested field on the music application. All members must submit their own individual applications and the individual prescreen requirements. Only one member of the group must upload the group prescreen recording to be considered for the live audition for the Woodwind Quintet Fellowship. 2. Individual – Please submit a recording with your music application online following the prescreen requirements below for the woodwind quintet fellowship. A. Please submit a video recording of you playing the individual requirements listed for your instrument below. Clarinet - Same as the regular pre-screen requirements; the total length of the recording should be at least 10 minutes. B. Please submit a video recording of a chamber music performance that you feel is representative of your chamber music skills. A recording of a live chamber music performance is preferred, but we will accept unedited (non-rehearsal) recordings of chamber works. For individuals applying for the fellowship, any chamber group recording will be accepted, though a woodwind quintet recording is preferred.